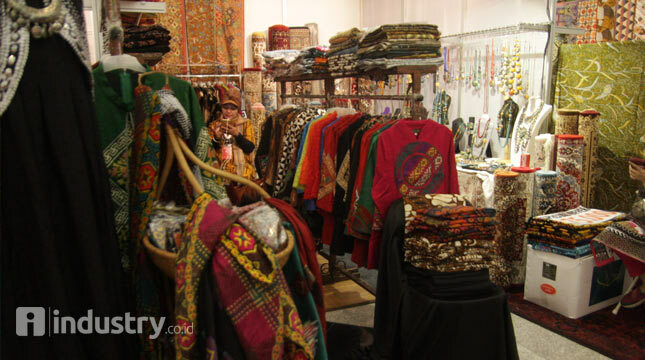 INDUSTRY.co.id - Nusa Dua - Textiles and textile products in Indonesia are still considered to be a prospective commodity and can boost the national economy, even though its prestige has declined in a few years. This is delivered on the sidelines of the annual conference of the International Textile Manufacturers Federation (ITMF) aimed at providing the latest information to all textile and textile product manufacturers in a number of countries. According to Hartmut, the textile and textile products industry contributes 6.65 percent of Indonesia's GDP in 2016, with an average growth of 5.2 percent to 5.4 percent in 2017. Although the Indonesian textile and textile products industry is signaling positive growth, he said, it is necessary to make breakthroughs in the strategy of marketing the commodities. "Currently it is time for traders and buyers to trade in an e-commerce way which can certainly be more effective and efficient in terms of cost and time," he said. Added, textile and textile products are indeed a commodity that will never stop so that the trade is needed and eventually emerging new traders and make the competition increasingly tight. "Companies in Indonesia should be able to have the right strategy if they do not want to lose with competitors from other countries," he said. He who has compared textiles and textile products from other countries, especially from ASEAN, assess the product from Indonesia is not less competitive when viewed from the quality and price. His company as a new e-marketplace business-to-business (B2B) player from Indonesia, 88Spares.com aims to facilitate the activities of selling and buying machine parts and industrial needs, especially textile and textile products. It is said that the trading of textile and textile product machinery parts is currently dominated by "offline" merchants, many involving third parties in the transaction process so that the price will be more expensive. "This certainly can reduce the merchant profits, because the length of the process of receiving goods orders," he said. Chief Marketing Officer and Co-Founder of 88spares.com, Rosari Soendjoto said the existence of a company founded by entrepreneurs from Germany and Indonesia that can provide convenience to buy and sell textile industry machinery parts and textile products directly, without going through an intermediary, efficient, transparent, and with competitive price. "So entrepreneurs will be able to cut the supply chain when buying and selling textile machinery parts in our company so no need to confuse contacts dozens of suppliers to get an item can see in our catalog," she said. She expects his presence to be the first Indonesian company to optimize local business in textile and textile products, thereby increasing the efficiency of time and cost. "The bottom line is whether to simplify the supply chain of parts and machine tools for textile and textile products processing," she added.